for the Blind this year? Chris Mee Group has decided to take part in the charity’s “Finding their Feet” scheme which will raise the money to train a Guide dog through his first year of training. In return for our involvement we have already had the opportunity to choose a name for our sponsored Pup. After an office wide vote we finally decided on the name Riley. This vote was held the same day as our Christmas Jumper competition and Guide dog merchandise sale. 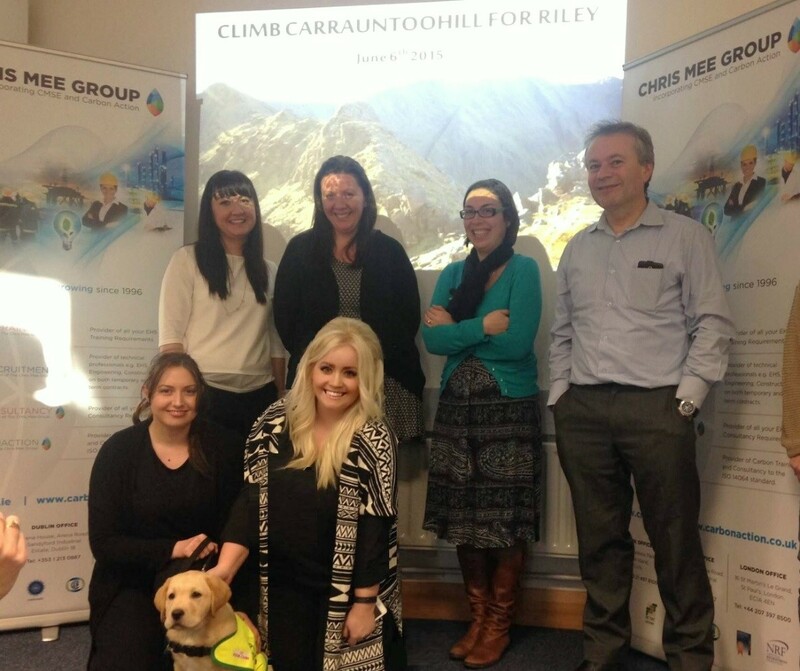 Riley recently got to visit our Little Island Office for the launch of our Fundraising event “CLIMB CARRAUNTOOHILL FOR RILEY”. Chris Mee Group have arranged a climb up Carrauntoohill, Ireland’s highest mountain on June 6th. We are aiming to recruit 100 people to climb with all money raised from this climb going towards the training of Riley. 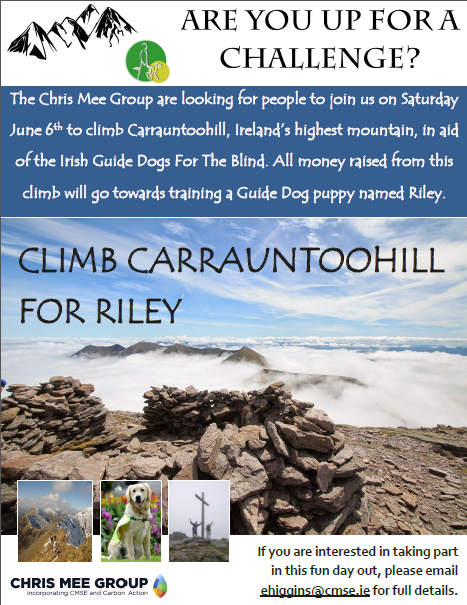 The Climb is open both to Staff and the Public who would like to help in supporting Riley who in turn will help a person who is blind or vision impaired or the family of a child with autism who will be aided to achieve improved mobility and independence.